Images are extremely powerful since they can give expression to those feeling that cannot be described properly by words. In fact, images are often better than words as it appeals directly to the mass. This is the reason why images are widely used in both online and offline promotional purpose. In fact, it is a common practice among website designers to use images for adding a special touch to their website. Now singling out the best image for a particular website design or promotional project is certainly a nerve-wracking task. You need to know the place where you can find out the best image for a particular project. 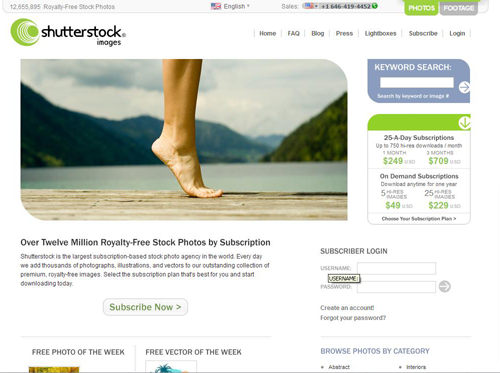 Here in this article, we have handpicked some of the best free and paid stock photography websites that can meet your specific needs. This is probably the best and the most popular of all stock photography websites. It has almost everything that you need to give your web presence a dramatic makeover. Here you can find some of the best and original user-generated images, royalty-free stock photos, flash, audios, videos and many more. You can be a designer, an entrepreneur or can be just a blogger, you will definitely be able to get the best here and that even at highly affordable rates. You can sign up for free and can join the discussion. 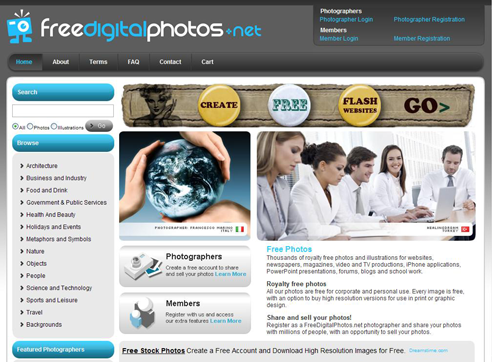 So, get some credits and start buying some awesome images that can give your website a fabulous face lift. 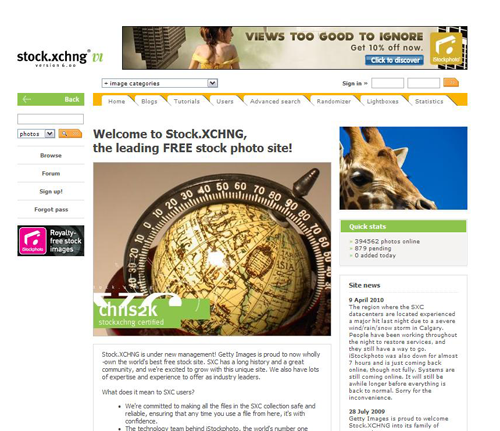 It is claimed to be the world’s largest subscription-based stock photo agency. It boasts of its outstanding collection of imageries that are varied in forms, style and patterns. Different subscriptions plans are there and you can make choice by taking a close look at them. Each has its own series of advantages. Make a choice and start downloading. It is basically a photo search engine that has claimed to be indexed over millions of photos (and still counting) that are available for free. It is fast, simple and easy to use. Membership is free and after becoming member, you will be able to tag, rate and comment on photos. Currently it is working on its indexing systems for making it more powerful and fast. It is now engaged in research and development for adding more features and for increasing its indexing capabilities. 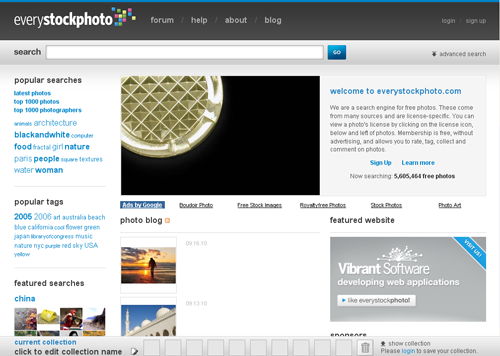 With its utterly simplistic interface, Gettyimages.Com is making its presence felt in this particular industry. It has a mind-blowing collection of cool images that ranges from travel to technology, from business to biotechnology. It has included some high quality video clips that can suit your needs precisely. 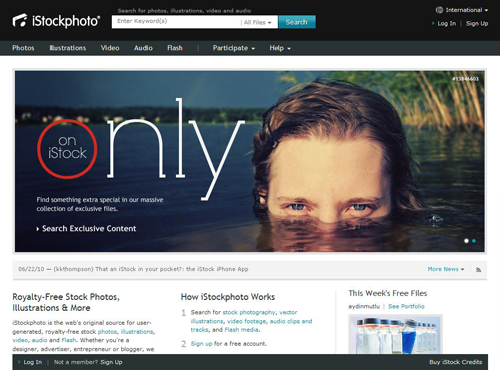 Check out is footage section for exploring some of the best stock and royalty free videos. Its music store is good enough to make your groove. It has a vast collection of some sensational music that includes rock, electronic, Jazz, hip hop and many more. If you budget is fixed, this website is a welcome relief for you since it is offering free images for your website design projects. It has over thousands of royalty free images, illustrations etc that you can use in newspaper, website, magazine etc. Images are available in different resolutions. What’s else do you want from a free service provider. 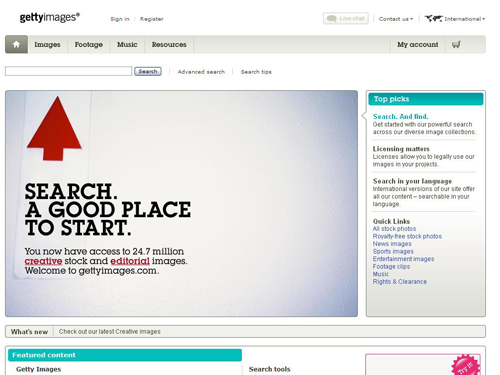 This probably the earth’s best free stock website that is now being own by none other than the famous GettyImages. It is extremely fast yet highly reliable and secured. It has conducted a through upgradation of its website for improving its quality and standard. Thanks for sharing this terrific post, Good stuff.